This content is provided by David Kaufman. David Kaufman concentrates on structured transactions involving commodities and derivatives. He also has extensive experience with mergers, acquisitions and corporate reorganizations. Mr. Kaufman works closely with the firm's financial institution and end-user clients in the commodity, equity, fixed income and credit derivative markets, often assisting clients in developing and structuring products and transactions and evaluating such products and transactions under applicable securities and commodities law. In his regulatory work, Mr. Kaufman focuses on the Commodity Exchange Act and the CFTC’s regulations, including the statutory and regulatory regime resulting from Title VII of the Dodd-Frank Act. Mr. Kaufman has been ranked as a leading capital markets—derivatives attorneys by Chambers USA and Chambers Global, is ranked in derivatives and structured products by The Legal 500 US, and is listed in Best Lawyers in America as well as recognized as a leading lawyer by IFLR1000. 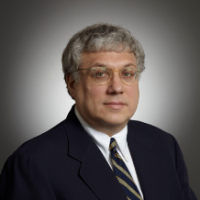 Mr. Kaufman speaks frequently on derivatives, commodities and structured products issues.